Guess major of you guys facing the same problem like me after back from beach vacation which makeup looks even cakey and not docile all day long. This problem may also happen to the skin type who are dry and sensitive. If you're loyal reader in my blog, guess you already read lotsa beauty post here and you will realize that I am always mentioned moisturizing before applying base/foundation on is very important to archive a healthy dewy looking skin. Is all about lets your skin drinks enough water to boost up energy so can get control before they start being naughty! One of my best and useful trick and tip is always have an extra pampering before I have my makeup on or heading to outside. No one loves their faces turns super shine like a mirror no matter where you are. Please do not get wrong?! Oily and dewy skin are totally different kind of story. Two ways to speedy S.O.S to your skin; apply mask or serum/essence/ampoule before have your makeup on. Talking enough with mask since I have reviewed quite many and it actually kinda time consuming if you're in rushing. 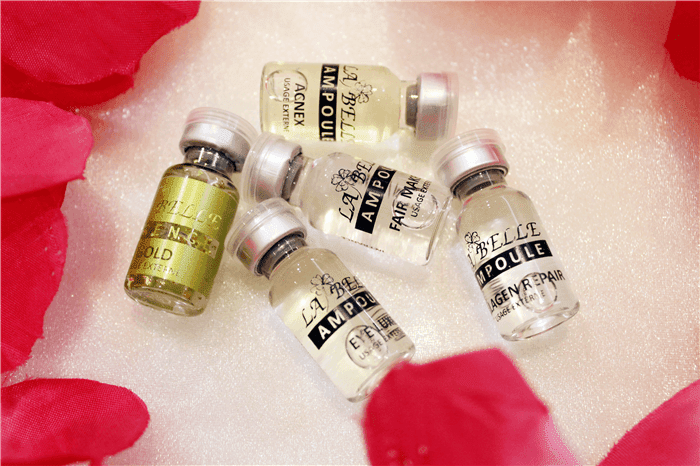 So let's talk about my current top list ampoule that been using almost three months and stil counting on.... LA BELLE PARIS ESSENCES & AMPOULES. La Belle Paris offers quite a wide varieties selection of essences and ampoules for many skin types and concern to choose from. Besides than that, La Belle Paris also has rose toner, marine scrub and varieties of mask too where also my favorite as well. LA BELLETM Ampoules uses only finest natural botanical extracts, vitamins, enzymes and combining with advance research and technology to achieved desired skin result. Skin will show remarkable improvement after usage. My personal was a freak of essences/ampoules. One is because of the light texture although is slightly more tacky comparing with lotion/toner but it's still watery and easy enough to blend and penetrate. Second is because the result after using is superb awesome (there's a huge different with apply or not apply. TRUST ME!). Third is because the ingredient used is much more concentrating comparing with lotion/toner and moisturizer which explaining why the price is always higher than the other two. The best part of La Belle Paris is they selling in an affordable price even lower than why you expect. 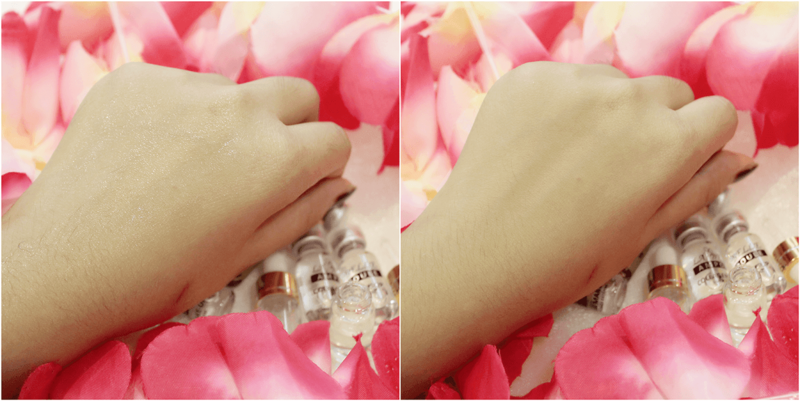 Prices ranges are from RM35 to RM70 per box (10 vials of ampoules in each pack). So far I've tried and tested on all essence/ampoules except La Belle Acnex Ampoule because I have no chance to tried it out since this is suit more for lovely who having acne or blemish problem. 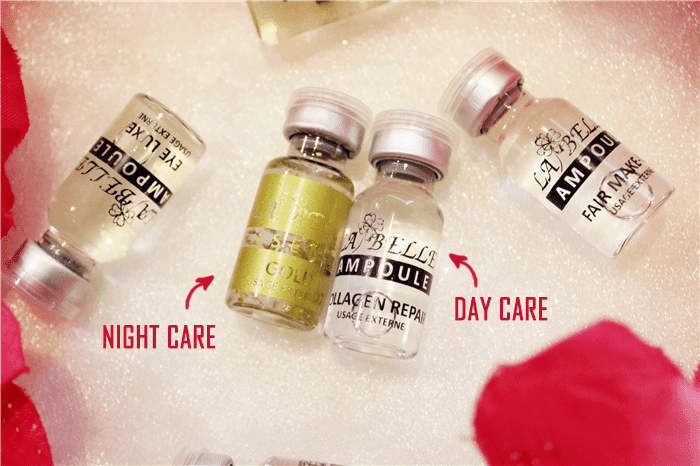 I am using La Belle Collagen Repair Ampoule as my day care while La Belle Gold Essence is my night care and La Belle Eye Luxe Ampoule as both. 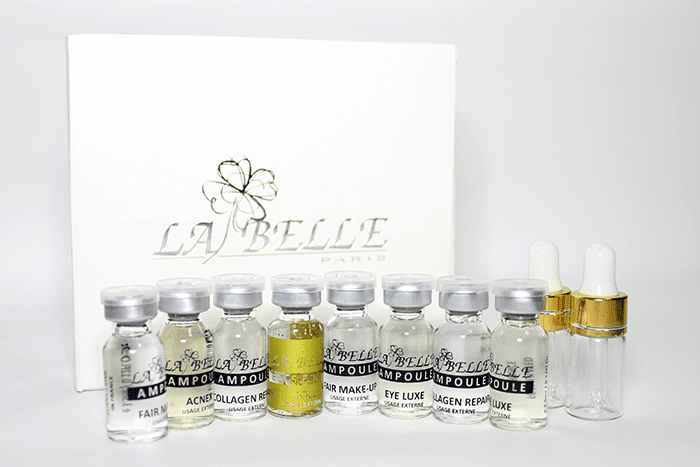 La Belle Collagen Repair Ampoule is for dull, dehydrated and loose skin type. With the combination of 2 in 1 formula, Collagen and DNA Repair ampoule, it contains native collagen and hydrolyzed collagen that re-hydrated and firm loose and sagging skin. Meanwhile, it will helps to repair, smooth and refines the skin texture. Best used for anti-aging and ensure skin stays moisture. It also helps to tone and improves the skin youthful appearance. For your information, native collagen is a derma-energizing gel that can instantly soothes reaction skin while promoting hydration. It can helps to visibly re-energizing the skin. It also helps to moisturizes, invigorates, tones and improves the youthful appearance of the skin. The texture of La Belle Ampoules is watery, lightweight and transparent. It is not tacky and sticky when applying yet feeling fresh and easy to blend & penetrate. Using La Belle Ampoules is suggests with a light massaging movement by massaging upward until fully absorb. 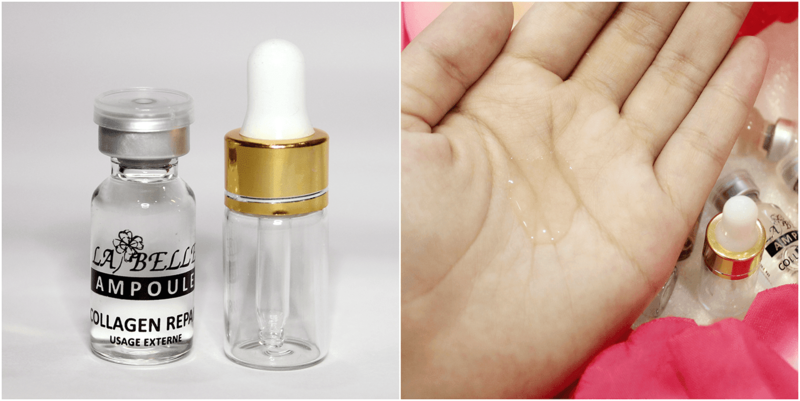 Beside than normal skincare, I love using La Belle Collagen Repair Ampoule as makeup base. I am happy with this product because it helps to minimize the usage of my foundation then giving a lasting and natural dewy finish yet makeup is more docile whole day. 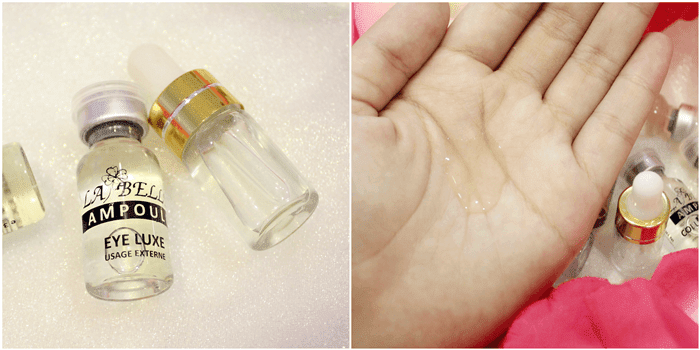 La Belle Gold Essence is for normal to dry, less tones, aged & with dark aging or sun spot skin type. 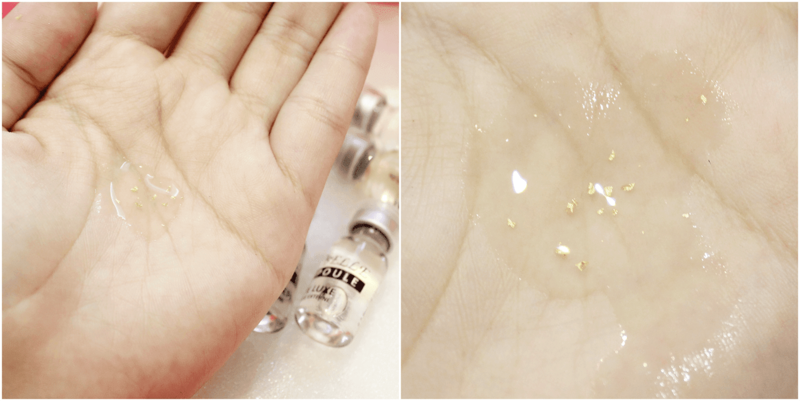 It is use 24k Pure gold leaf helps to slow collagen depletion and prevent sagging skin. It also assists in protection against pollution effects and damaging UV rays. Gold leafs speeds up cellular processes and active regeneration to regenerate healthy, firm skin cells and reduce fine line & wrinkle. 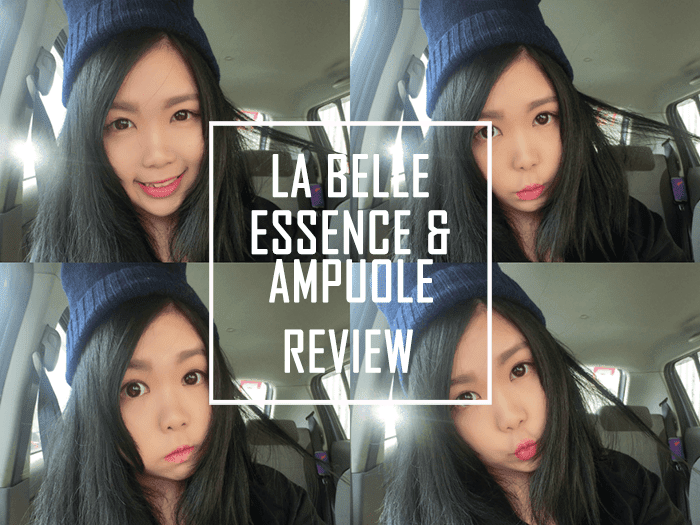 La Belle Ampoule is good but La Belle Essence is better especially La Belle Gold Essence which is my top favorite among all. 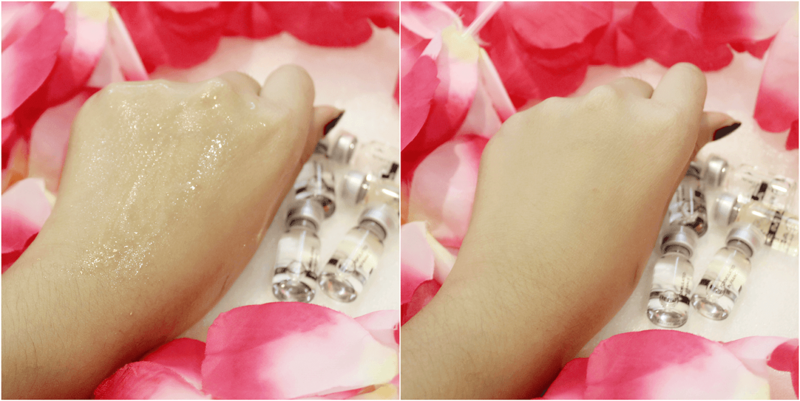 The different between ampoule and essence are the ingredient, concentration and effect after use. 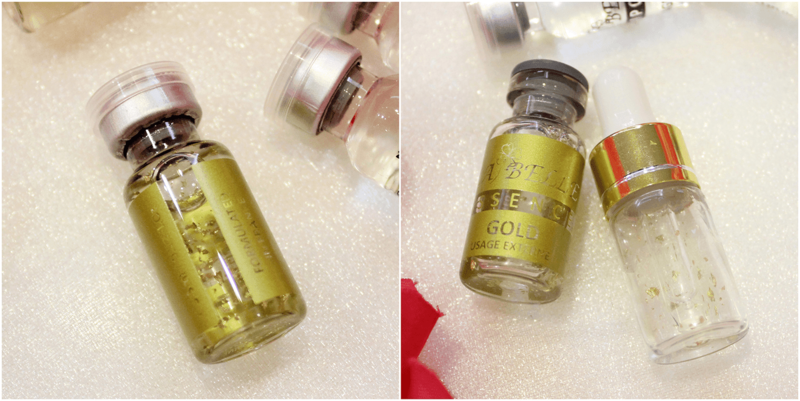 The texture of La Belle Gold Essence is just slightly more concentrated comparing with ampoule (barely feel it) but still light, watery & transparent with a generous amount of gold leaf inside. 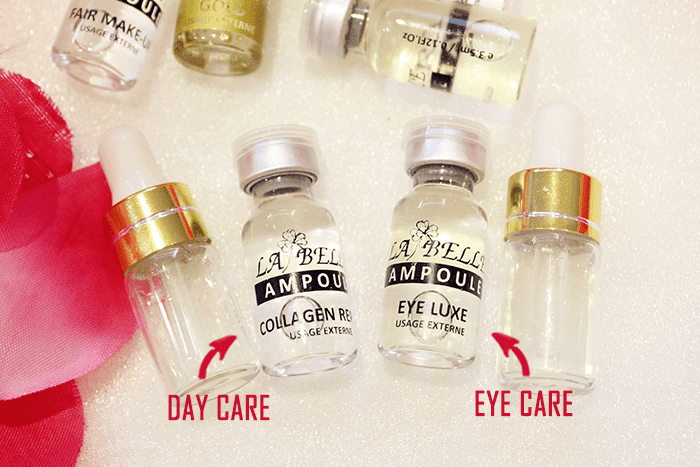 La Belle Eye Luxe Ampoule is the best treatment for delicate skin around the eye zone area. The ultimate 'anti-aging' treatment for the delicate skin surrounding the eyes, this luxurious multi-tasking ampoule not only provides essential hydration but also targets the seven most prevalent signs of eye zone area problems. It effectively smooths out fine lines and wrinkles, reduces sagging skin caused by loss of elasticity, improves firmness, helps eliminate the feeling of puffiness and dark under-eye circles, and combats dryness of the skin. It also helps to increases skin radiance, smoothness and firmness. Another favorite of mine. What I love about La Belle Eye Luxe Ampoule is because the texture is lightweight, watery and transparent (lol, just like the other ampoule) but the result is amazing especially I use this to reduces my puffiness eye on the morning with a light massaging on eye area and eyebrow bone (like what my picture's drew). Beside that, I also use this as my eye base makeup so that my eye makeup will more longer lasting and docile while also minimize the usage of makeup product. 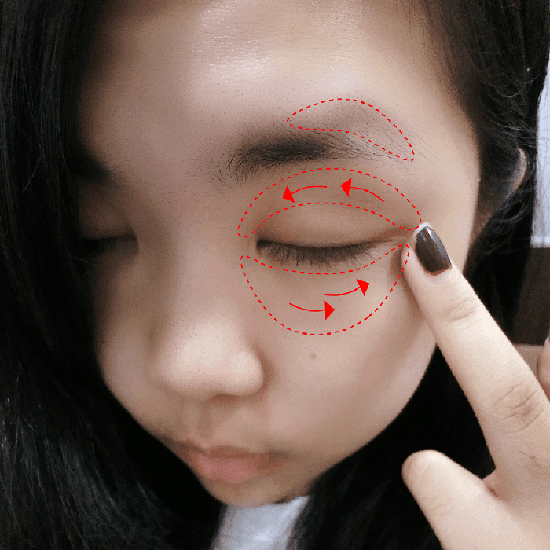 Since I have no dark circle, therefore I can't determine weather this is good for dark-circle problem or not, but what I heard from my blogger friends who has tried this product as well, they absolute love this. Of coz! Have to pre-mention that different people owns different skin. So you have to judge yourself. La Belle Skincare is a good kick-start for those who prefers lightweight and watery type of texture or beginner who wants their skin to another level. The price is affordable and the result is visible and good. Beside that, La Belle Paris also offers wide varieties of choices for different kinds of skin type and concerns you can target. For those who want a better result, I suggest better go for essence instead of using ampoule because the ingredient is more concentrate and result is better comparing with ampoule. Of coz! The price is more expensive as well but still affordable because one box contains 10 vials (imagine one vial can use one week, then ten vials is 10 weeks, equals to 3 months usage) which is consider very cheap for each time usage. La Belle Skincare is also highly recommended for makeup artists and freelance beauticians too. After cleansing and toning, spread slowly over the face, neck and decollete. Apply light massaging upward until fully absorbed. Continue with usual skincare steps every morning and evening. Quote 'Sweet Chency' for 15% discount with free gift upon purchasing on Super Sweet Ampoule.